7. Standard Scent: various, there are four major styles: Flower style, Fruit style, Nature style and Design style, such as Vanilla, Orange, Strawberry, etc. Your chosen is first. 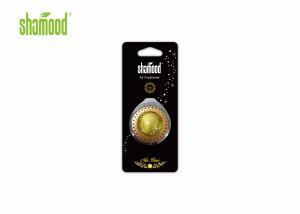 SHAMOOD daily use co. Ltd is the manufacturer of the world class air fresheners for home and cars. We are headquartered in Yinzhou District, Ningbo province, CHINA, but export worldwide. Shamood gradually grows as a professional fragrance products manufacture combines product design, fragrance research and tooling development. We have been long held great reputation and experience as a successful fragrance products supplier to the customers from all over the world with quality, stylish designs and competitive price. As a result of our excellent quality, stylish designs, and competitive price, our products are available all over the world, such as USA, Europe, Middle East, Western Africa, Southern America. Our highly experienced technical team is supporting the production and is responsible for the innovation in fragrances. We are using high quality fragrance essential oils from famous suppliers around the world. Shamood has always been passionate about maintaining the excellent quality of its products. We do rigorous testing and quality control procedures to ensure they consistently met or exceeded our high standards for fragrance, strength, and longevity. Shamood is committed to produce high-quality, long-lasting and affordable products providing the best fragrance experience possible. Shamood was born named "Samen Yuanzhuo Daily Use Products Manufactory" in Sanmen, Zhejiang Province, China, which is mainly producing plastic products and hardware gifts. The old manufactory moved to Ninghai Science Park , Zhengjiang, China, then changed factory name to "Shamood Daily Use Products Co.,Ltd" . From this year, shamood began to produce air fresheners. Shamood established import and export company "Ningbo Borui Import & Export Corporation". As the leading company of this group, Borui is dedicated to import and export business affairs. As the oversea business becomes more and more mature, the air freshener group began to focus on domestic market and in Shenzheng, China, founded domestic trading company "Ningbo Fanshi Trading Develop Co., Ltd". Later, Fanshi opened its first web shop in Tianmao. ”Ningbo Vanstone Trade Developemnt Co.,LTD” was founded. As an innovative aromatic product domestic company,Vanstone has built successful sales channel in Guangzhou,Xinjiang,Beijing,Shanghai etc. Shamood cooperated with Max.Ex Brands USA with a commitment of bringing innovation in the air freshener and started working on the new home collection. SHAMOOD continues to meet consumer demand for freshness by offering a number of different air care products.Our Shamooed daily use air fresheners are available in numerous fresh fragrances and eye-catching designs. All air fresheners are made in our own state of the art factory in China. In 2015 we launched LUXE, a luxury car air freshener series. The innovative technologies and contemporary designs offer fresh scents with style. The LUXE series quickly proved successfully and in 2015 many were brought to the next level. We invite you to explore our website to see our full range of air fresheners. From vent options to sprays and everything in between – we have a solution for every air freshening need. Besides, we also attend the fairs in India,Russia,Japan,Germany,Brazil,etc..In next year, we will also expend our production lines and attend more fairs oversea.